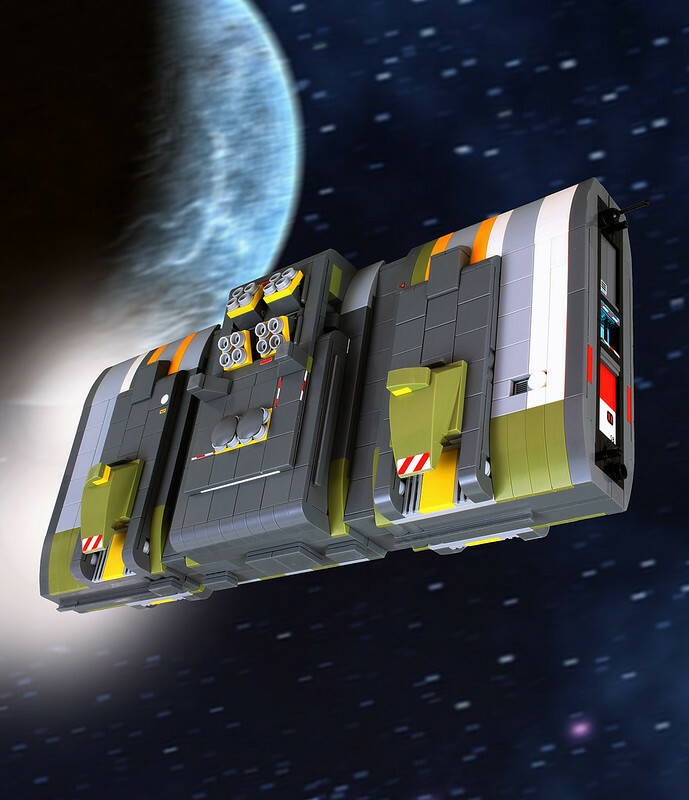 Brick 2.0 | Spaceship! Spaceship! Spaceship! This latest build by ska2d2 makes a bold design decision: it’s basically just a box with details. There’s literally almost no shape to it whatsoever apart from this big vertical box and the interest really lies in the detailing the builder has covered it in. I’ll be honest I’m a bit confused about the scale of the model, perhaps because the lack of recognisable forms (cockpits, wings etc) gives few cues. ska2d2‘s latest picture highlights the landing bay built into the side which would suggest it’s pretty massive, perhaps larger than implied by the downward facing landing jets or the neat mechanism for discharging two different types of mines on the other side. It also highlights his extraordinary stickering skills. If I’d stuck those white lines down they’d look like they’d been painted on by a drunk. 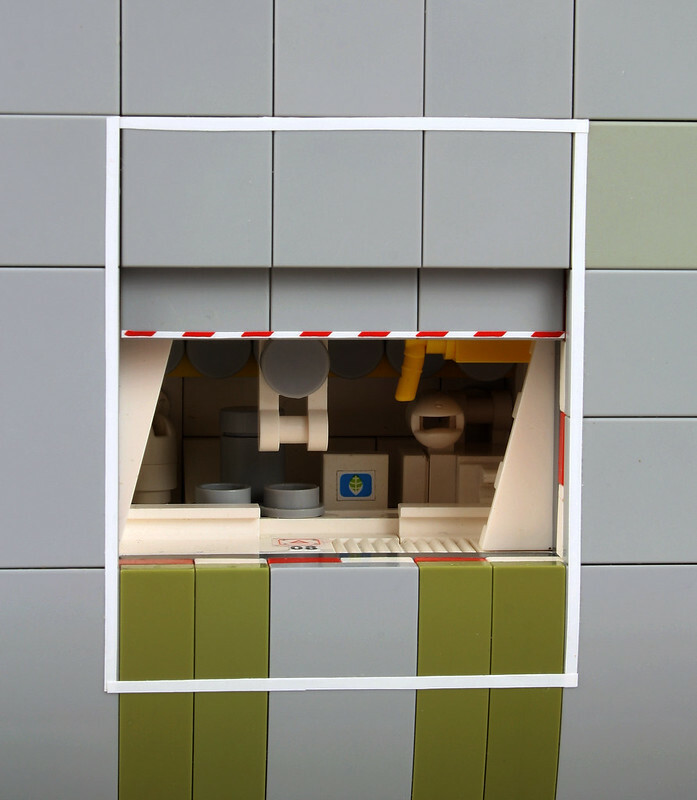 This entry was tagged microscale, MOC. Bookmark the permalink.